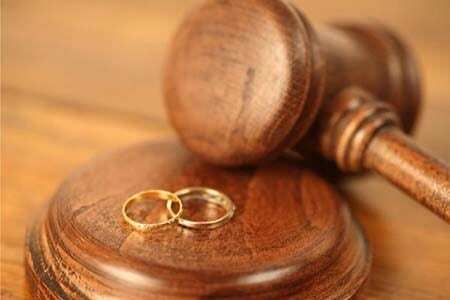 Divorce can be either uncontested or contested at any one time. However, an uncontested divorce can turn into a contested divorce and vice versa during the divorce process. If the parties can agree to the terms of their divorce without the necessity of a contested court hearing, then this is both financially and emotionally beneficial to them. Though it may be difficult to sit down with your spouse and determine how you want to resolve the specifics in your situation. If you are looking for top notch, experienced divorce attorneys in Tampa Bay, we have extensive experience since 1997 and we are dedicated to providing excellent, responsive representation of our clients. If you have children, then you will have custody, visitation and child support issues to resolve as well as agree upon a written Parenting Plan and prepare a child support guidelines worksheet even if there will be no child support. The Tampa uncontested divorce attorneys at All Family Law Group, P.A. can help you with your uncontested, agreed upon divorce for a flat fee IF you and your spouse fully agree upon the terms of your divorce. Contact us by email or call 813-672-1900 for a free initial consultation at one of our offices in Tampa or a consultation by telephone. If you and your husband or wife between yourselves can come to an agreement as to the terms of your divorce, then these terms can be included in a Marital Settlement Agreement. If necessary, you can attend mediation where a mediator, as well as your attorney, will assist you in coming to an agreement with your spouse. Mediators cannot give legal advice, so it is advisable to have an attorney attend the mediation with you to advise you of your legal rights, as well as to make sure that all of your issues are resolved in the agreement. Furthermore, there are marriages which may be dissolved without an Agreement if there are no children, marital assets or debts. After the agreement is obtained, then an uncontested final hearing is set where the agreement is incorporated into the final judgment by reference. The hearing usually takes about ten minutes when called to testify and the spouse who filed the petition usually attends with his or her attorney as only one party is required to be there. If you and your husband or wife cannot agree on the terms then it will become a contested divorce. than a trial would be necessary where the judge would hear testimony and take evidence upon which he or she determines the resolution of your issues. Therefore, it is to your benefit to come to an agreement in your divorce where you and your spouse determine based upon your situation what is best for you and your children. We also offer paralegal preparation for a flat fee of your divorce or other pleadings on your behalf for you to file with the court, as well as instructions on how to do so. Furthermore, the forms prepared may be reviewed by an attorney You do have the option of scheduling time with one of our experienced Tampa uncontested divorce and family law attorneys at an hourly rate (prorated) if you would like legal advice. Contact All Family Law Group by e-mail or call 813-672-1900 for a free initial consultation at one of our offices or by telephone to discuss your options for an uncontested divorce. We are also available via Skype or other webcam video provider and all forms can be completed via the internet and email, if this is more convenient. Se habla Español. We look forward to speaking with you!